Exceptional image quality and low-light performance Create truly exceptional photos and Full HD videos with the COOLPIX S810c. Its high-performance 12x optical zoom NIKKOR glass lens with 24x Dynamic Fine Zoom, an enhanced digital zoom function that effectively doubles your reach, and Lens-Shift VR image stabilization is paired with a 16.0-megapixel CMOS low-light image sensor for superior image quality, versatility and low-light performance. Your shots will impress even you. Nikon's largest ultra-high-resolution touchscreen Photos and Full HD videos look amazing on the COOLPIX S810c's large 3.7-inch touchscreen display. 1.2-million dots of resolution render all the fine details captured by the camera's advanced CMOS image sensor in life like brilliance. The extra large screen also makes it easy and comfortable to use apps, watch videos and browse the web. 12x Optical Zoom NIKKOR glass lens with 24x Dynamic Fine Zoom Every COOLPIX is designed around a genuine NIKKOR glass lens, the legendary optics that have helped make Nikon famous. 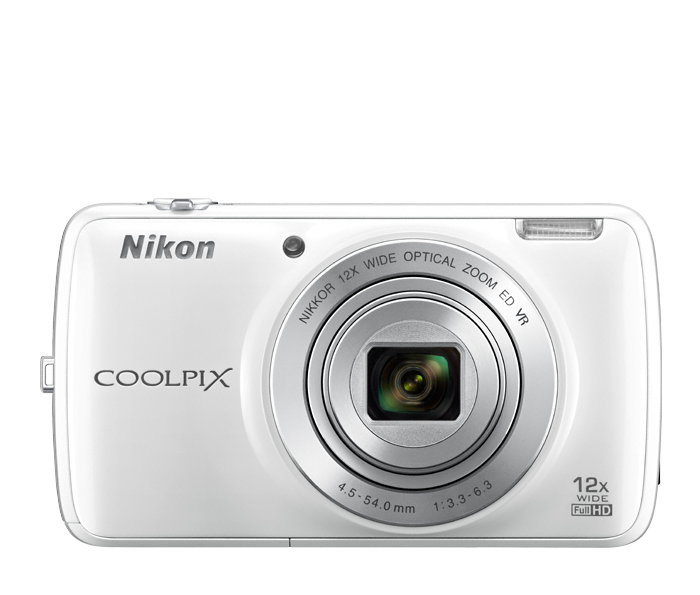 The COOLPIX S810c features a 12x optical zoom NIKKOR glass lens with 24x Dynamic Fine Zoom—an enhanced digital zoom function that effectively doubles your reach—takes you from wide-angle group shots to telephoto close-ups in an instant. And don't worry about a little camera shake—Lens-Shift VR image stabilization helps to keep your photos and videos steady, even when your hands are not.